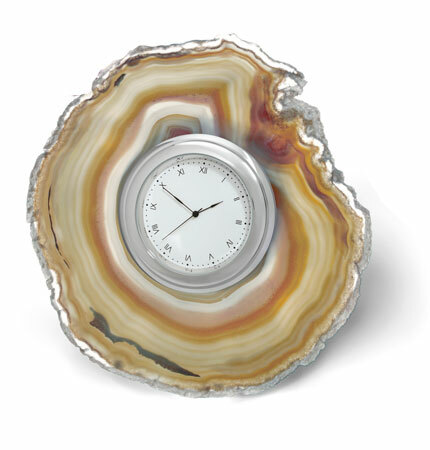 The cele clock combines natural, restful properties with elegant, modern design. The clock fits perfectly on a bedside table or in a living room. This is a natural product so no two products are the same. Approximately 5" in diameter.